Did Vybz Kartel win the Gully/Gaza feud with Mavado? Bounty Killer continues to dish out his true feelings on Mavado and Vybz Kartel. Yesterday, Urban Islandz reported that Killer thinks Busy Signal is the greatest artist out of his now disbanded Alliance crew. Yes, you heard that right, and now he is saying that Kartel won the Gully/Gaza beef hands down. 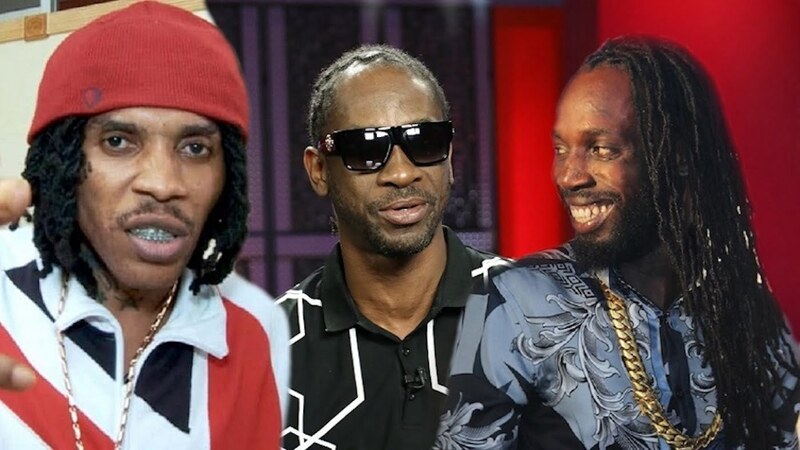 As to who won one of the most infamous feuds in dancehall’s history, is still up for debate, but there is no doubt that Kartel and Mavado are two of most prominent artists in the genre today. 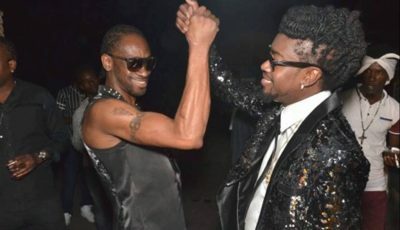 If you have been keeping up with the news all week, then you would’ve been aware what Bounty Killer has been saying when asked about his preference for Vybz Kartel over Mavado. According to Killer, the Gullyside singjay has sided with Alkaline, who he called the biggest “Freakazoid” in dancehall. Killer also said that Kartel wiped out Mavado clean during their infamous war. “Vado can’t defend my war either all now Kartel cannot counteracts ‘K A Clap’ he did like three counters and none works unlike Vado songs Kartel just washed them weh all his diss songs so how him fi defend my war?” the dancehall legend wrote. Bounty Killer also responded to a question about who won the Gully/Gaza feud, and he said Vybz Kartel hands down. Grunggadzilla also noted that Mavado started the war with Vybz Kartel because he wanted the Gazanation deejay’s fame. 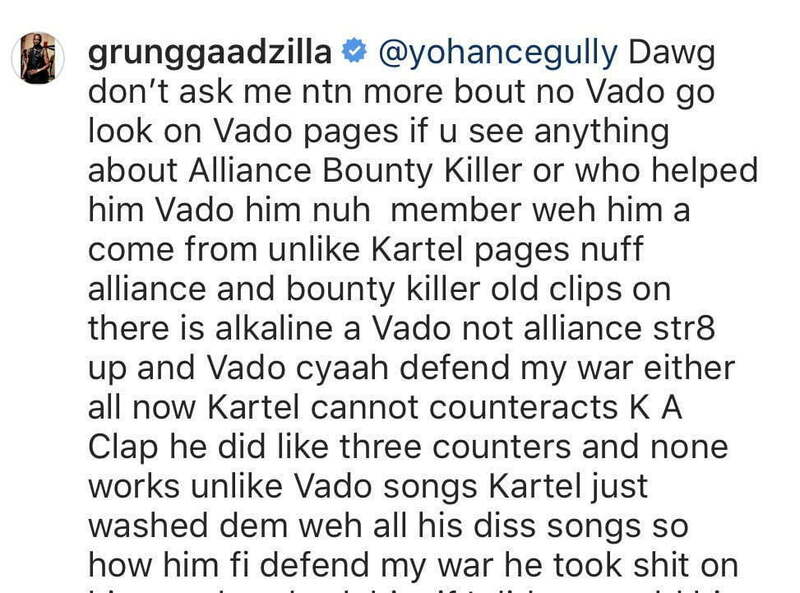 For years, dancehall fans have been saying that Vado was defending Killer from an onslaught from Kartel after the incarcerated deejay left the Alliance. Bounty insists that the Gully singer couldn’t defend himself much less defend him from Kartel. The bottom line is, there is apparently a lot of bad blood between the three deejays who were once close friends.